This cuddly woven fur dog is 17 1/2 inches long and is machine washable in cold water. 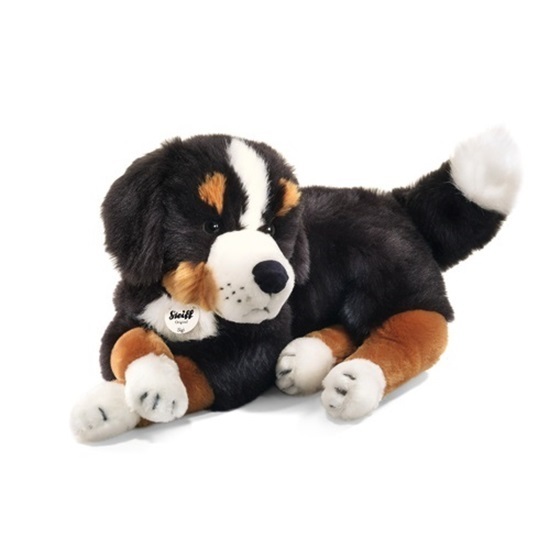 From Steiff's plush collection of Pets and Farm Animals, Siggi is made of cuddly soft woven black, tan and white fur. He is approximately 17 1/2 inches long and is in a permanent lying down position. He is not jointed. Siggi has safety black button eyes and is machine washable in cold water.